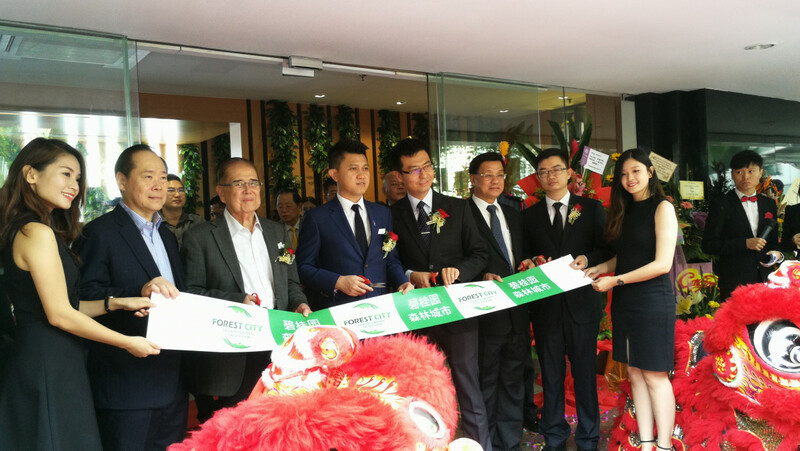 KUALA LUMPUR (Dec 16): Country Garden Pacificview Sdn Bhd has opened a new sales gallery for its Forest City development at UBN Tower here to strengthen the developer’s presence in the international market. Country Garden Pacificview is a joint venture between Country Garden Holdings Co Ltd and Esplanade Danga 88 Sdn Bhd, an associate company of Kumpulan Prasarana Rakyat Johor. In his welcome speech, Country Garden Forest City sales and marketing director Steven Zhou said that the opening of this sales gallery at Kuala Lumpur not only shows the master developer’s resolve to deepen its presence abroad, but will also serve to deepen ties between China and Malaysia. “Looking ahead, we will utilise our own resources to connect the Malaysian political, business and education sectors in order to further enhance the collaboration between China and Malaysia,” he said at the opening of the sales gallery today. The ceremony was witnessed by Deputy Education Minister Datuk Chong Sin Woon and Federation of Chinese Associations of Malaysia president Tan Sri Pheng Yin Huah. Also present were Country Garden Forest City sales and marketing deputy general manager Tian Wei, former MCA deputy president Tun Michael Chen and The Store Corp Bhd group managing director Tan Sri Tang Yeam Soon. In his speech, Chong noted that besides enhancing business collaboration between China and Malaysia, the sales gallery is poised to become a communication channel between both countries to achieve a win-win situation in different aspects. “Malaysia sincerely welcomes China companies to visit the country and communicate with the local businesses to explore potential collaborations in the country, especially Kuala Lumpur. “We also appreciate and laud Country Garden’s move to deepen its presence in the Malaysian market while the company continues to recognise the potential of Greater Kuala Lumpur,” he said.